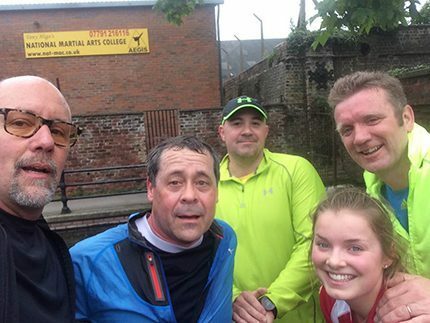 Paul Waine, managing director of Hull-based fuel and waste oil company RE:Group, has recently put in a marathon effort to raise cash for two charities close to his heart. Having formed the Four Tortoises and a Hare team, this month Paul and the team have undertaken the Great North Run and the Hull marathon to raise money for GAIN – Guillain Barré & Associated Inflammatory Neuropathies – a rare illness that left Paul temporarily paralysed and hospitalised for 14 weeks in 2008, and the Matthew Good Foundation. Paul used to sail in Bridlington Bay with Matthew Good, a Hull businessman who died in the Humber Bridge half marathon five years ago. The foundation set up in Matthew’s memory is spearheading the International Institute of Race Medicine which aims to improve safety in marathons. This year marks the centenary of the first diagnosis of Guillain Barré syndrome, an acute condition affecting the peripheral nerves. After contracting it, Paul went through months of rehabilitation but managed the London Triathlon in 2010 and raised more than £23,000. “For those of you who don’t know me, I will say that I don’t by any stretch of the imagination possess the physique of Mo Farah!,” said Paul.